If you’ve ever tried installing a server application (like WordPress) or a development environment (like an Apache/PHP/MySQL environment), you already know that it’s a lot harder than it seems at first glance. There are files to download and copy, configuration settings to be adjusted, and various other hoops to jump through before you can actually get some productive work in. Needless to say, there’s a better way: a Bitnami native installer. Bitnami provides pre-packaged images for automated setup of popular server software on Windows, Mac OS X and Linux platforms. Each installer includes all of the software necessary to run out of the box, and it’s also completely self contained. This means that there are no additional libraries, databases, and runtimes to download, and, once installed, the new application or development environment will not interfere with other software on your system. 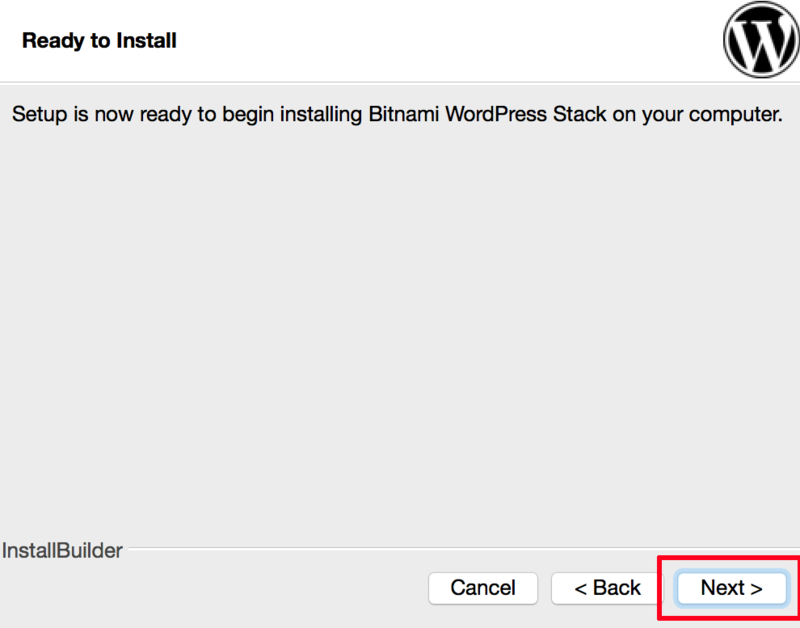 In this guide, I’ll walk you, step by step, through the process of using a Bitnami native installer to deploy a new server application on your local development system. If you’re interested in creating a personal or small business blog, chances are that you’re going to use WordPress. WordPress is one of the most popular blogging platforms in the world, in use on over 60 million websites (according to Wikipedia). 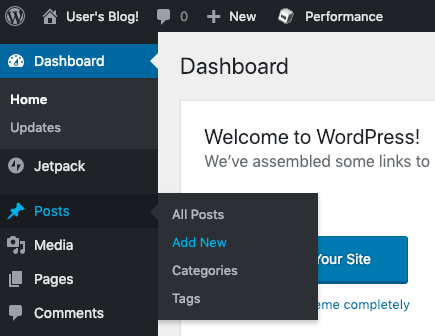 It’s not hard to see why: WordPress is incredibly easy to use, comes with thousands of extensions and themes, and is completely free and open source. 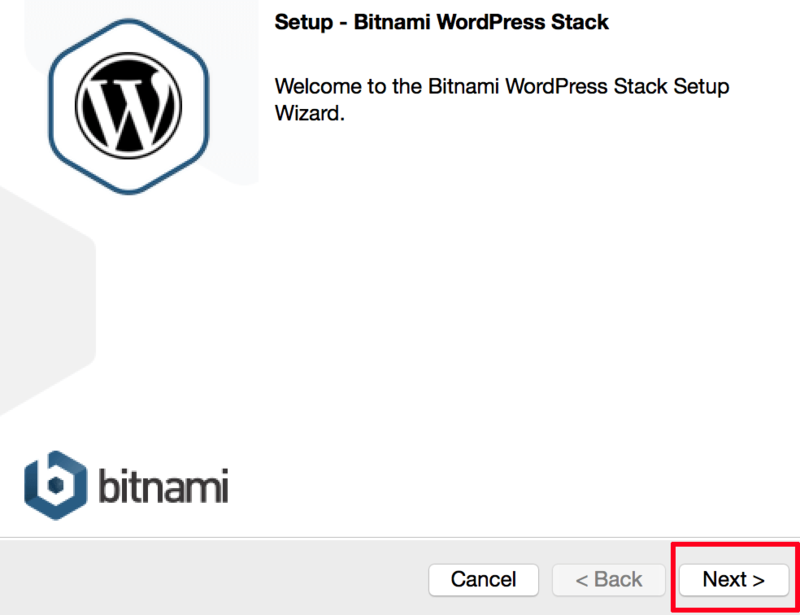 In this tutorial, I’ll install the Bitnami WordPress Stack, which gives you a pre-configured WordPress blog that you can start using right away. But WordPress is just an example: there are hundreds of other Bitnami applications to choose from, and they’re all equally easy to set up. The next sections will walk you through these steps in detail. 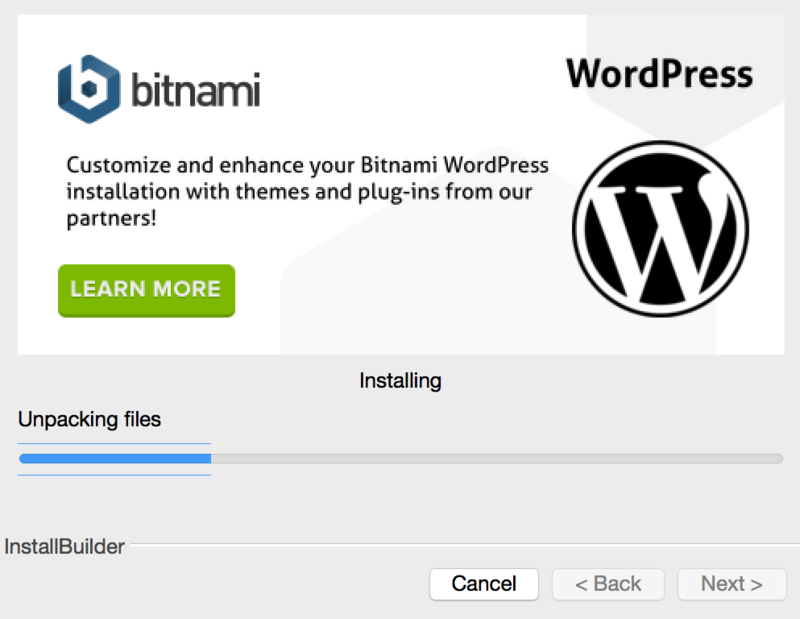 NOTE: Bitnami native installers are available for Windows, Mac OS X and Linux platforms. This tutorial uses a Mac OS X native installer, but similar steps apply on Windows and Linux platforms. Platform-specific notes are included where necessary in the following sections. 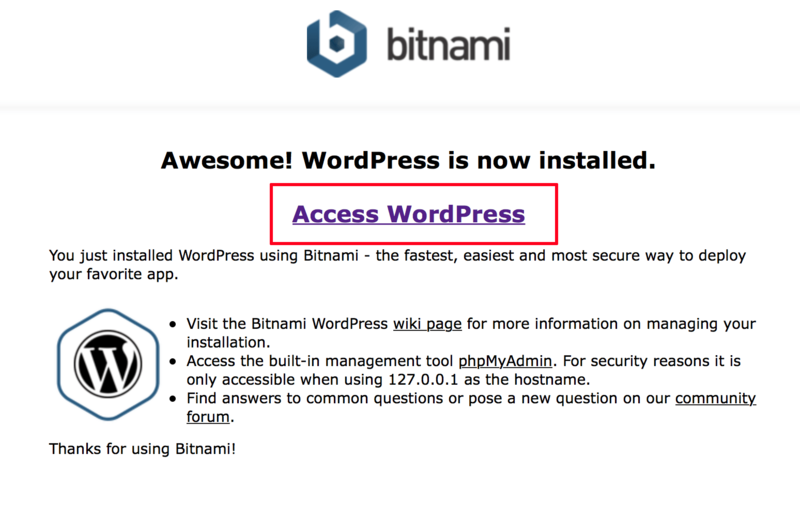 At the end of this step, you will have installed the Bitnami WordPress Stack. Select the installation language if prompted. You will be greeted by the welcome screen. Click “Next” to proceed. On the resulting component selection screen, select “WordPress”. You may optionally also choose to install phpMyAdmin and Varnish. Click “Next” to proceed. 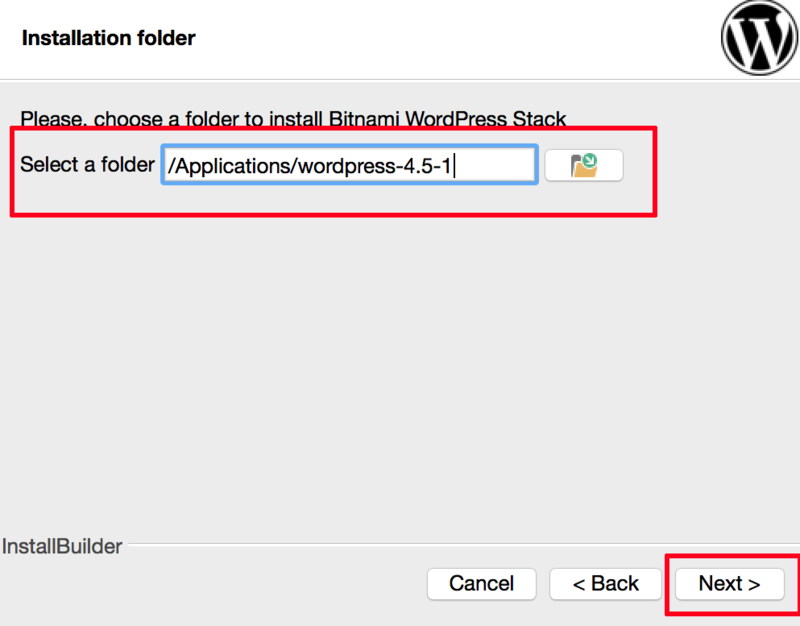 Select the installation directory for the Bitnami WordPress Stack. Click “Next” to proceed. 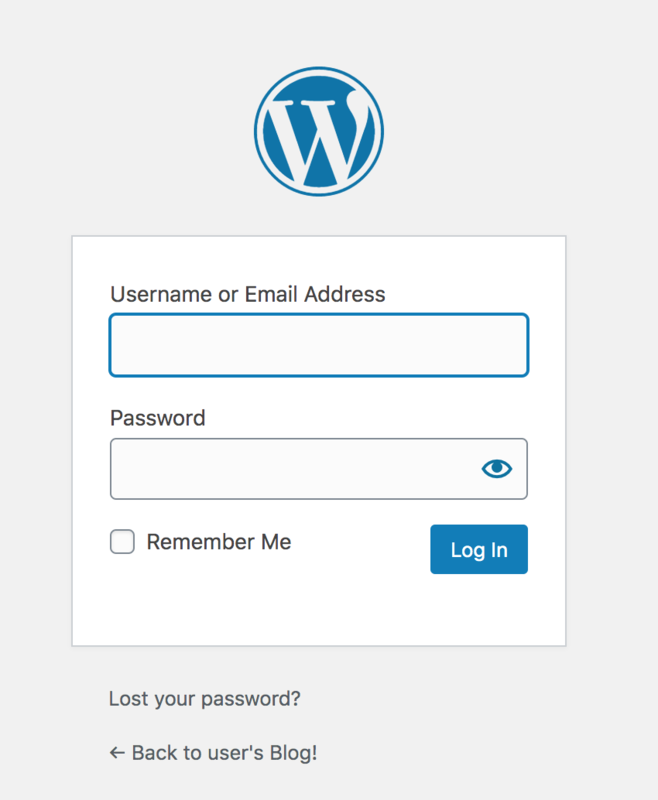 Enter your name, email address, WordPress username and WordPress password. 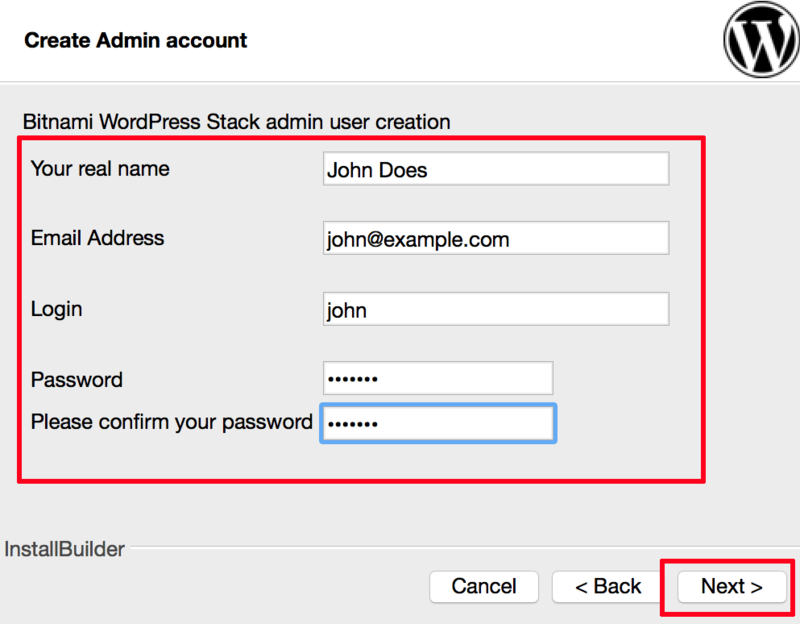 These last two values will be needed to log in to the WordPress administration panel in the next step, so note them carefully. Click “Next” to proceed. 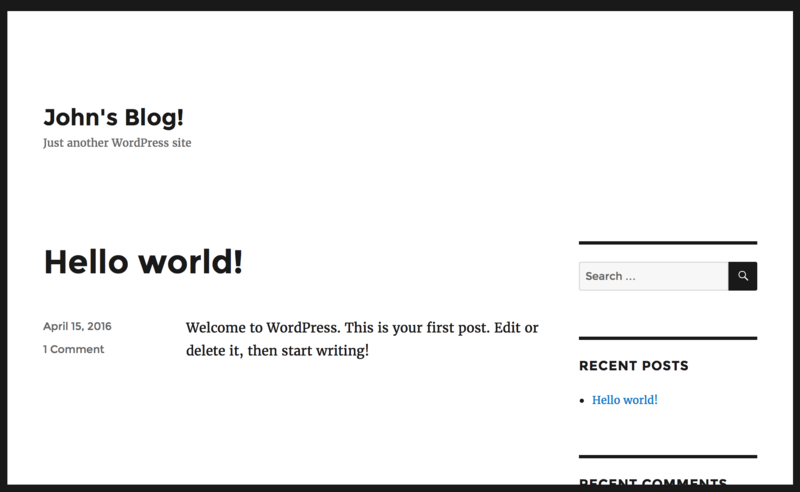 Enter a name for your WordPress blog (you can always change it later) and click “Next” to proceed. WordPress (and many other applications) can send email notifications on certain events, such as comments on posts. 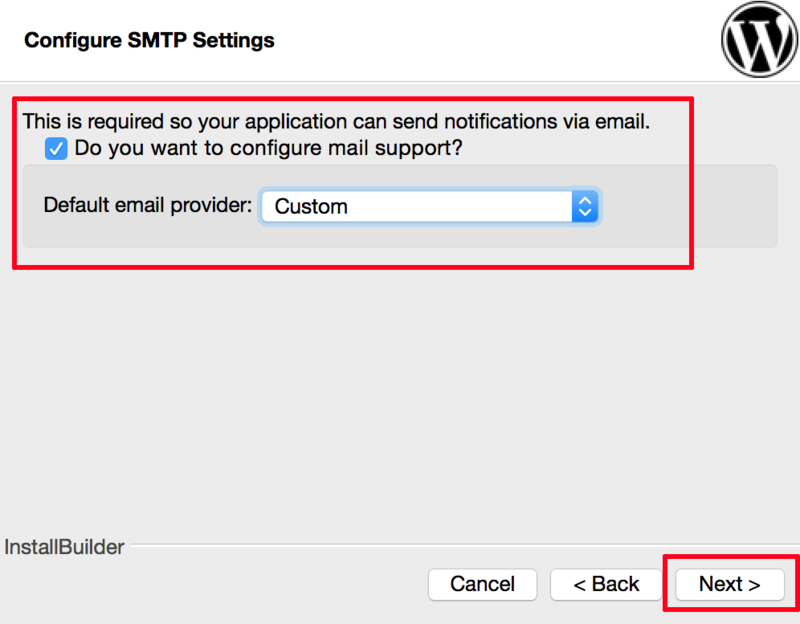 In case you’d like to receive these notifications, check the box to configure mail support and choose whether you’d like email to be sent via your Gmail account or a third-party SMTP server. Click “Next” to proceed. 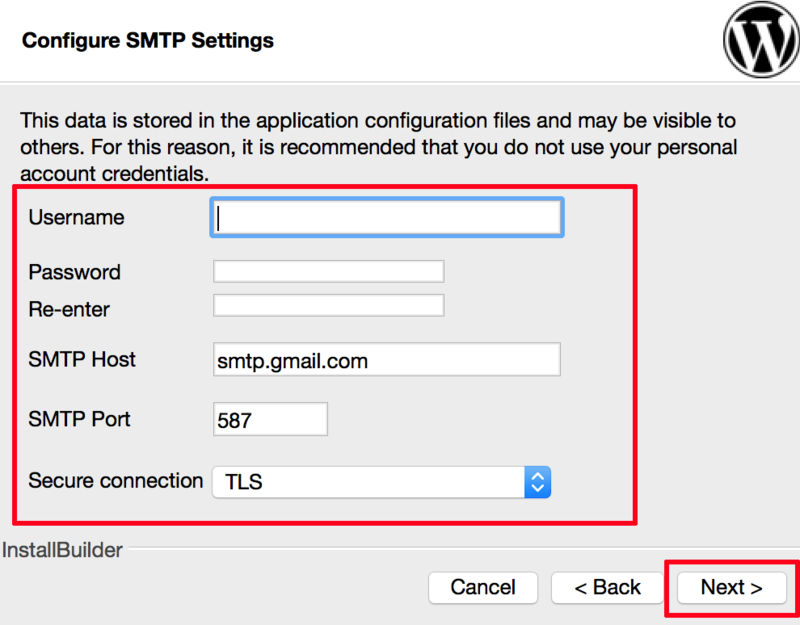 Depending on the options selected on the previous screen, you’ll now be prompted to enter either your Gmail username and password, or the credentials and other details for your SMTP server. Enter this information and click “Next” to proceed. Choose whether you’d like to read about Bitnami Cloud Hosting and click “Next” to proceed, then “Next” again on the final screen to begin the installation process. The application will now begin installing to the directory you specified. The process usually takes a few minutes: a status indicator provides a progress update. Once installation is complete, you will see a success message. 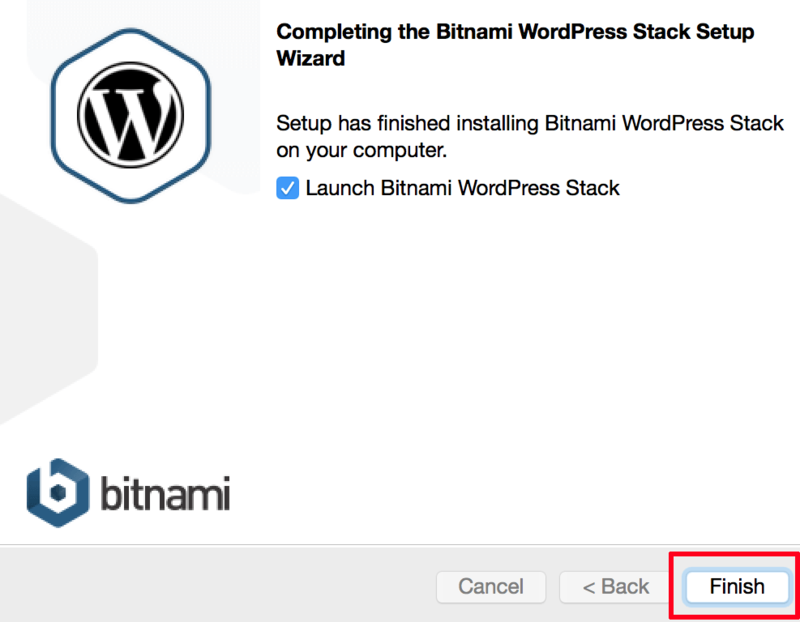 Check the box to launch the Bitnami WordPress Stack and click “Finish” to complete the installation. This should launch a new browser window with a welcome screen, as shown below. You can also access this welcome screen by launching your Web browser and entering the URL http://localhost or http://localhost:8080 (depending on which platform you’re using and whether you installed the stack as an administrator or regular user) into the browser address bar. Bitnami native installers include a graphical tool to manage the database and Web servers. This tool is named manager-windows.exe (on Windows), manager-osx (on Mac OS X) or manager-linux-x64.run (on Linux) and is located in the installation directory. To use this tool, double-click the file and then use the graphical interface to start, stop or restart servers. 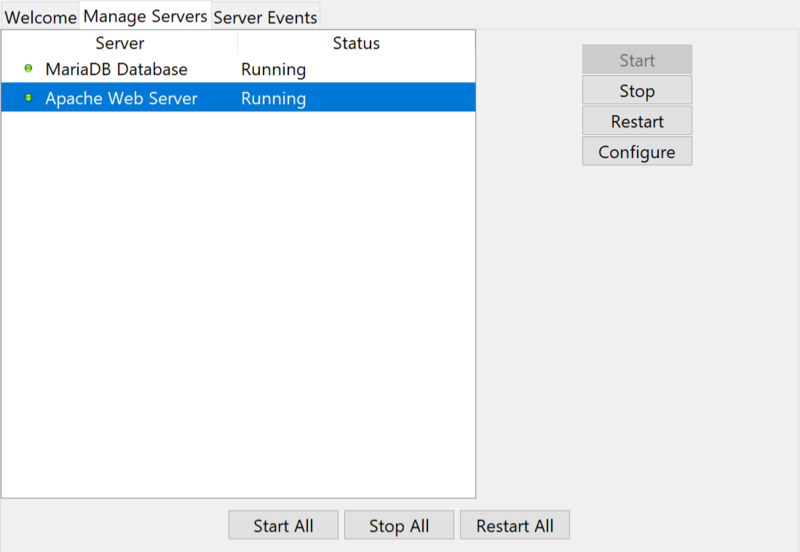 Server log messages can be checked in the “Server Events” tab. A control script is also available to easily manage servers from the command line. For more information, refer to the FAQ for your platform. 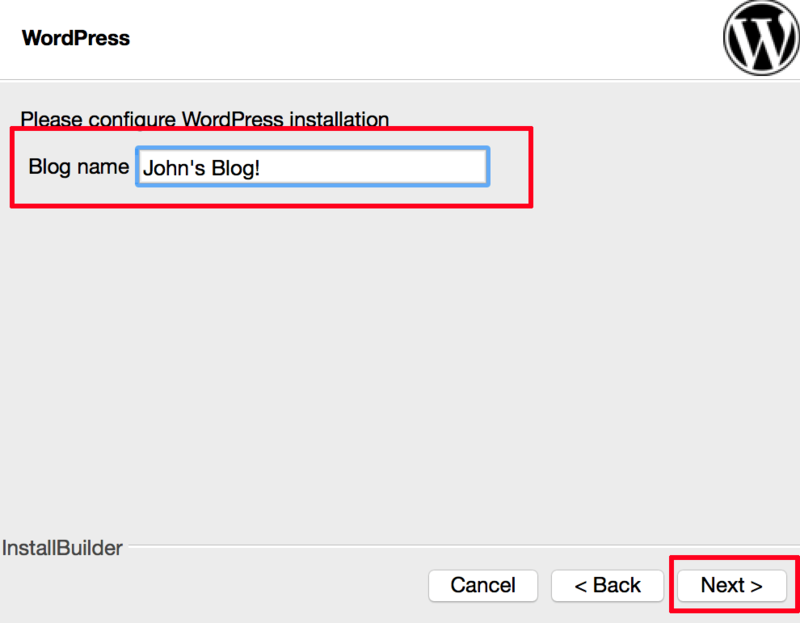 At the end of this step, you will have logged in to WordPress and created a new blog post. Browse to the WordPress dashboard, usually at the URL http://localhost/wordpress/wp-admin or http://localhost:8080/wordpress/wp-admin. Log in with the administrator credentials from the previous step. Select the “Posts -> Add New” menu option to create a new post. Publish it immediately using the “Publish” button. Congratulations! 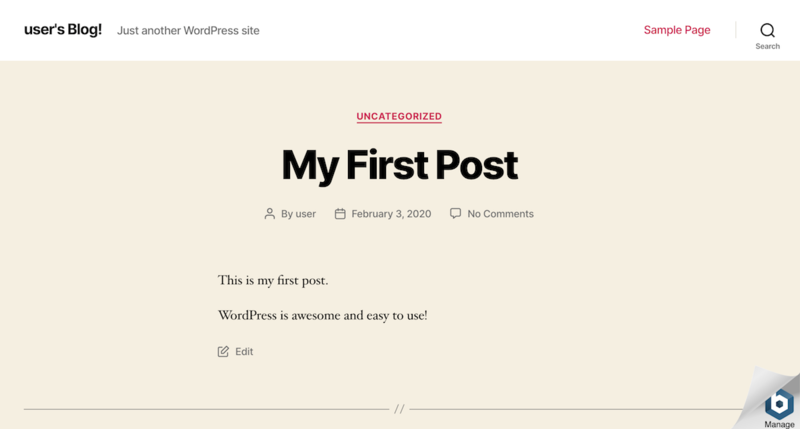 You now have a working, fully-functional WordPress blog in the cloud. 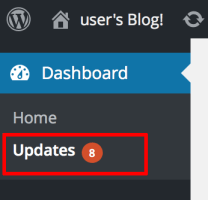 Select the “Dashboard -> Updates” menu item. 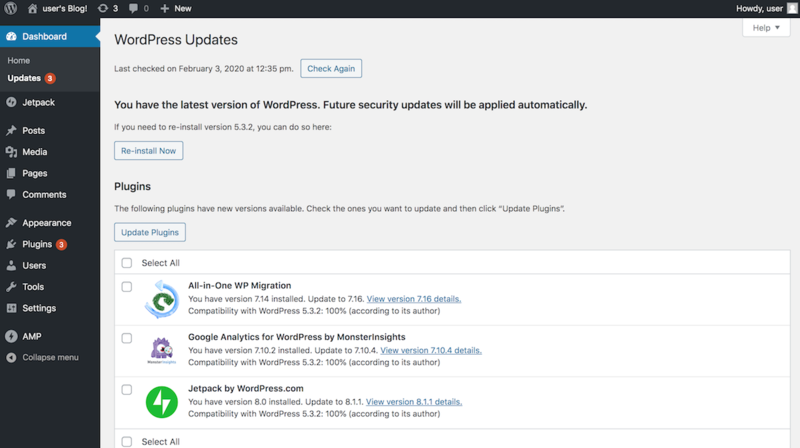 Review the resulting page to see if WordPress needs an update. If an update is available, you can install it by clicking the “Update Now” button. 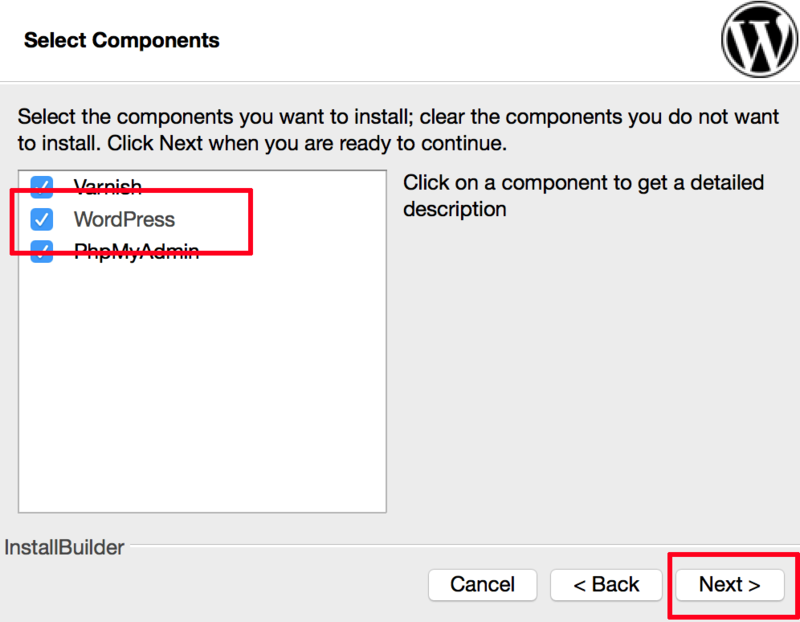 You can also re-install WordPress if needed with the “Re-install Now” button.